You know by the look of these bars that they are going to be good for you. There’s Medjool dates for sweetness (have you tried these? There are SO good. And sweeeet), freshly ground cinnamon for warmth, squidgy berries, and lots of seeds for my favourite part – the crunch. 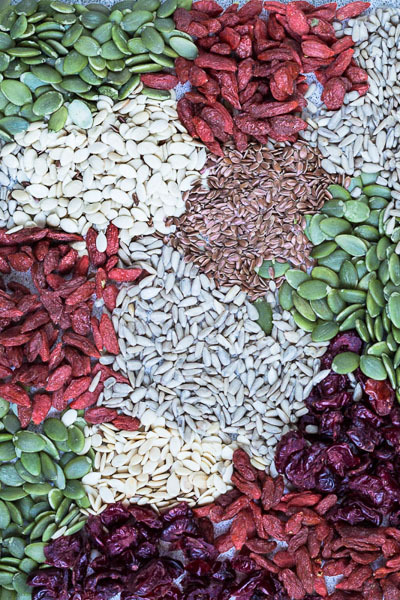 I went berserk at the store and picked up all the seeds I could find: watermelon, pumpkin, flax, sunflower and threw in some goji berries and dried cranberries as much for colour as for flavour and texture. 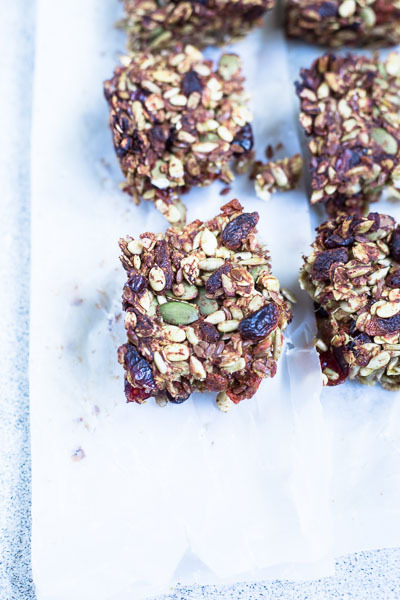 These energy bars are seriously good. 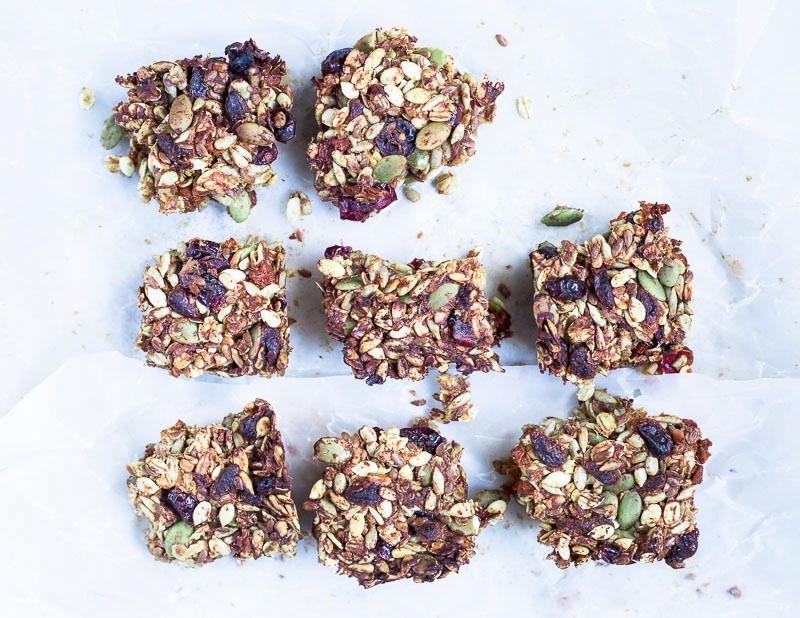 Dates are naturally high in sugar, and in their dried form, the sugars become even more concentrated making them the perfect addition in recipes where you want to avoid added sweeteners of any kind. I tried Medjool dates for the first time recently, and boy are they sweet! I used about ten to twelve in this recipe which I cooked down to a mush and mixed into the seeds. They act as a binder as well as impart their musky sweetness. If you can’t find Medjool dates, any other kind should suffice, only, you might need to add a few more. 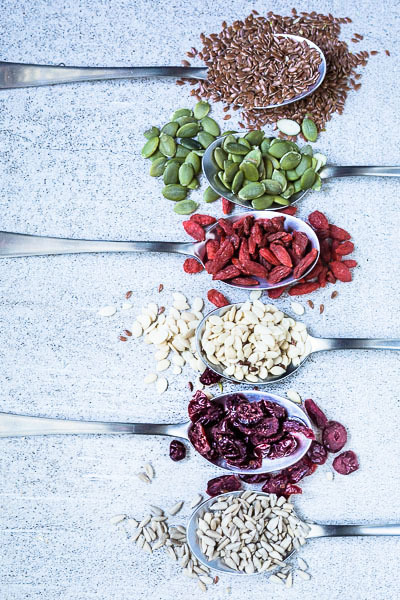 Same with the type of seeds and berries – add or omit any or kind you want and/or even throw in a handful of nuts to bulk it up. Follow your own adventure, really. There are no rules here. Preheat oven to 160 C (360 F) and line a 8 X 8 inch baking tray with parchment paper or aluminium foil. De-seed the dates and place in a small saucepan with 1 cup of water. Cook on a low heat stirring often until the dates break down to a mush, about 5-7 minutes. Add to a blender and purée until smooth. Add a little more water if the mixture looks too thick. You want it to fall off the spatula in a loose clump without sticking to it. 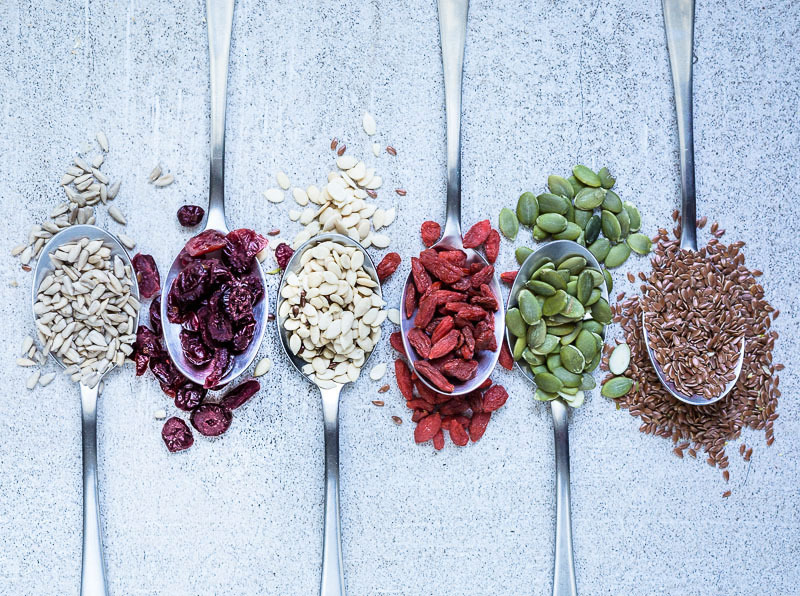 Place the seeds, berries, cinnamon and salt in a large mixing bowl and add the cooked dates. Using a spatula or your hands mix through until you get a cohesive mixture. Transfer to the lined baking tray and press down firmly, making sure to fill the gaps in the corners. Smooth the top and flatten uniformly. Bake for 10-15 minutes or until slightly golden on top. Leave to cool and firm up in the fridge for 20 minutes before cutting into whatever shape you like. Store in an airtight container for up to two weeks. 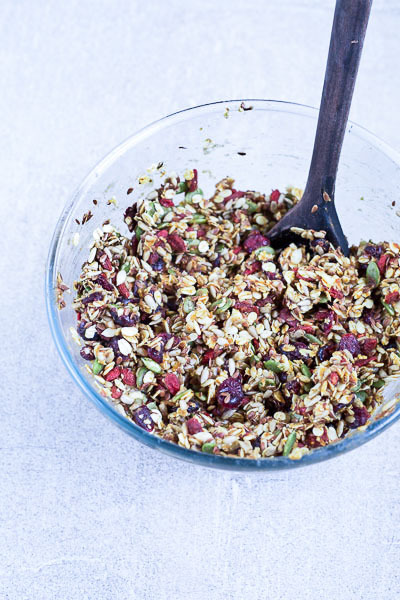 * You can use any combination of nuts, seeds, and berries in this recipe. * Use any other variety of dates if you can't get Medjool. However, since Medjool dates are sweeter, you might need to add a few more.